I fix things. My specialties are financial planning, financial literacy education, taxes, and investment advice, but over my 30-year career, I've been able to help people fix problems with money, construction projects, meetings, sentence construction, culinary disasters, and academic difficulties. I wish I were like Samantha of the TV show Bewitched and could just twitch my nose to repair everyone's problems. Unfortunately, no magic erupts when I twitch my nose. I help clients using my knowledge, experience, and hard work...although I like to think that our working together has its own magic. My work as a lecturer, teacher, copy-editor, writer, presenter, negotiator, researcher, and office manager in a diverse cross section of business, educational, and government organizations has helped me gain the depth of knowledge needed to advise my clients in all aspects of sound financial planning and investment. I have been described as a fast, cheerful, flexible worker who rapidly resolves unexpected problems and project difficulties. I manage work quality and time based on guidelines provided and use my talents to provide customers with top-notch service. As a champion for financial literacy, I speak at high schools, libraries, career fairs, churches, businesses and community groups - anywhere I can get a platform! - to raise awareness about financial knowledge and safety. I recently published "Financial Advice for Blue Collar America" which offers guidance on basic concepts of money including insurance and taxes, financial traps to avoid, how to pay for college and tech school, and info about the bright future ahead for blue collar careers. By choosing to work with this Advisor, you acknowledge that neither Wilson David Investment Advisors nor this Advisor makes any representations or promises that the services you receive are appropriate for you and your business or guarantees any specific outcome or results. Wilson David Investment Advisors does not guarantee the suitability of the Advisor for your particular needs and does not endorse the advice and services rendered by any Advisor. Wilson David Investment Advisors is a registered investment adviser registered in South Carolina and GA through FINRA. Any commentaries, articles or other opinions herein are intended to be general in nature and for current interest. All content on this website is presented as of the date published or indicated, and may be superseded by subsequent market events or for other reasons. All investments involve risk, including loss of principal invested. The answers presented on Ask an Advisor should be considered general information presented to inform the public. They are based on the information provided in the question, which may have omitted important details that would have changed the answer had they been known. Please consult a financial advisor before concluding that the information is relevant to your own situation. 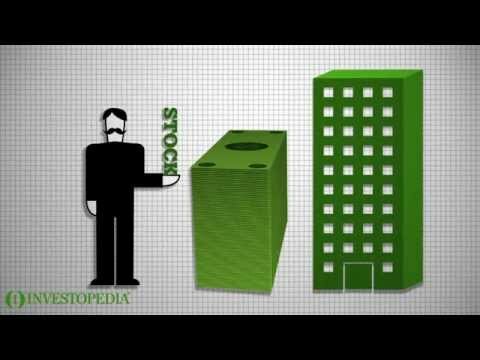 Investopedia Video: What Are Stocks? Performing these four activities can help build a lifetime of financial safety. When it comes to guarding your financial safety, these steps are necessary. What are the costs of keeping yourself and your money safe? Here we try to come up with an estimate. Ignoring your finances altogether will hurt you more than forcing yourself to deal with them routinely. Here are some tips to stay on top of them. Hi – good for you to want to get your debt down and shake off 26 percent interest. It is so upsetting to have to worry about that. I know that you are doing your best to manage your money, pay down your debt, and cut expenses. It’s so hard to do because life is very expensive and wages are low. I can see your wise thinking in wanting to cut your interest rate a bit, and that is smart. However, I’m worried about two things. First, if you were going to take a new loan out, I don’t know if it would be a good idea to ADD debt to the debt you already have by taking out $10,000 – it would make more sense only to borrow only the exact amount you need to pay off the $7,500, not borrow an additional $2,500, especially at the high rate of 17.8%. Secondly, the new loan you are thinking of getting is still at a very high interest rate – 17.8%. It certainly is better than 26% but it’s not a great rate. So, I would advise that you not take out the loan. If you cannot cut expenses any more, is there maybe a way you could pick up a bit of extra work? Even temporarily? If you could bring in a bit extra cash, you can use that to work off the $7,500 debt. If you worked more, too, you’ll be spending less as well because you will be at work. Finally, when you do pay off those 3 cards, it would be better not to close them since 10% of your credit score relies on the length of your credit. However, if you find that you use them and are tempted to rack up more debt, you'd be better off closing the accounts because if you use the credit cards and don't pay them off, your credit utilization rate goes up and that negatively affects your credit score, too. This is such a hard thing, and I so hope that there is a way to reduce and then get rid of your debt. Best wishes to you. Hi! So glad you wrote to us. My colleagues offer great advice, and I’d like to add few thoughts. I love your idea of arranging your life to be able to care for your kids yourself as much as possible. I was able to stay home with the kids for 4 years, and after that I had flexible, non-demanding jobs during their growing-up years. Our two kids are now 30- and 27 years old now, and making that choice to put them first was the smartest thing I ever did. My husband was completely behind this decision, both emotionally and financially…and he didn’t divorce me later, either, for a new “trophy” wife, ha ha. Well, at least not yet – but we’ve made it 35 years, though, and I’m a pretty good cook, so I think we’re ok! So that plan worked for our family, but the financial risks when a person (usually a woman) makes that decision can be very negative and detrimental. I realize that your plan is to work from home, and in today’s “gig” economy with all its remote work possibilities, that desire is more realistic than ever before. However, starting a business is usually very time-consuming and capital-intensive; it’s unlikely that your new business will be profitable in its first year and even less likely that it will generate income even close to the $70K you are currently making per year. So you and your husband will want to make sure that you can live and continue to live comfortably on $65K per year rather than $135K in case you don’t bring in any income for a year or two or more. That’s a huge drop in income; you might want to try a month or two of living on that amount of money and see how it feels, trying to imagine how it would be with another human being added to the mix. You’ll have strong incentive to try to make that planwork because if you are like me, you are NOT going to want to leave the kids with other people while you go to work. My husband faced a layoff when our second child was two, and we made the decision for me to go back to work. Even though I got a job just half a mile away, could come home at lunch, and was able to afford a caregiver who came to our house, it was awful to be away from the kids every day and entrust their care to someone else not me. So if you find you are able to live on less, that will give you more courage to consider this plan. Another thing to think about is if you might be able to telecommute or work remotely or continue your current job in a part time status after you have kids. Do you have skills that will let you work from home for another company or your current employer rather than starting your own business? That option would minimize your time away from the children you are going to have. Also, you will want to make sure your hubby is “in” – if he wants you to keep earning that $70K per year or if he isn’t happy about the self employment thing, it will be hard to make a go of it. Consider too that if you take time off from working to start a business, you won’t be putting in money to your social security account or a 401k, which could hurt in the long run if your marriage and/or business don’t work out and you’ve missed out on years of earning and years of gaining experience that will help you get continually higher responsibility and higher paying jobs. I don’t mean to be a kill joy here but that reality has negatively affected the long term financial well being of many women. So in answer to your specific question about whether you should pay down debt or start a business, maybe what you could do is for two months send your whole paycheck to pay down your student loan principal and live just on your husband’s salary. That two-month trial will accomplish both goals and give you a window into how it might work in the future. So excited for you as you think about becoming a parent. It’s been the best experience for our family, and I hope you’ll enjoy it just as much. Best wishes to you! Should I postpone attending college to pay off my current debt, or go further into debt to pay for school? In returning to school, try to do the best you can to minimize costs. If you can work fulltime and still go to school, that’s the best. It’s hard (I did it for my MBA), but it’s worth it. And getting a degree will likely help you earn more over your lifetime. Also, do a search to learn what the salaries are for the field you are taking training and education in and what the job market is like. You don’t want to graduate and find that there are few jobs in your field or that salaries are not much higher than the $33K you are earning now. Many jobs in the U.S. are valuable and helpful (like teaching or social work), but we have traditionally not paid people much to do those jobs, so you want to be going into a good-paying field (like computer coding!) if you are going to incur more debt for school. Good luck to you and please write back with more questions. Hi! Way to go on thinking about the best ways to build wealth. Not many 17-year-olds think like you. Planning your strategy and learning more about real estate will help you achieve your financial goals. One of our other advisors made the point that you can invest in real-estate-based ETFs and REITs, but I think you are asking about buying actual properties that you rent out. If you are interested in financial instruments for real estate you can open a self-directed brokerage account at places like Etrade, Scottrade, Tradestation or other similar place that will let you buy and sell ETFs and publicly traded REITs. That path will get you started in one aspect of the real estate market. If you are interested in that route, you can learn more about investing at www.investor.gov or FINRA’s site: https://www.finrafoundation.org/investor-education-library. However, I think you want to actually buy properties. You’ve asked several questions about this path. First, yes, you certainly can start young as a real estate investor. As my colleagues have written, you’ll need to accumulate some money that you can use for a down payment for a property, and you’ll need to have built up your credit score to be eligible to borrow money. That may take some time and delay your foray into real estate a bit, but it won’t stop you forever. Your regular military paycheck will help in applying for loans. Also, once you have your first property and rent it out, you’ll have rental income coming in which will augment your paycheck and hopefully get you to a place where you can buy a second property and on and on. Check out this Investopedia guide on being a landlord. Finally, you ask about managing your investment while deployed. For the first type of investment (a brokerage account), I think that in today’s military, you can periodically have internet access, so you can check your brokerage account that way and buy or sell as needed. If you are a landlord with rented-out properties, you’ll need to pay a property management company or a friend to manage the property when you are away: to make repairs, collect rent if it’s not automatically deposited or later, keep an eye on the place, deal with re-renting if the renters move out. I think your interest in real estate is commendable and that it’s definitely doable. Study, read about, watch videos, and talk to people to learn as much as you can about this path. Best wishes to you!! !